A sari fabric that would be perfect for those exotic boy hounds! 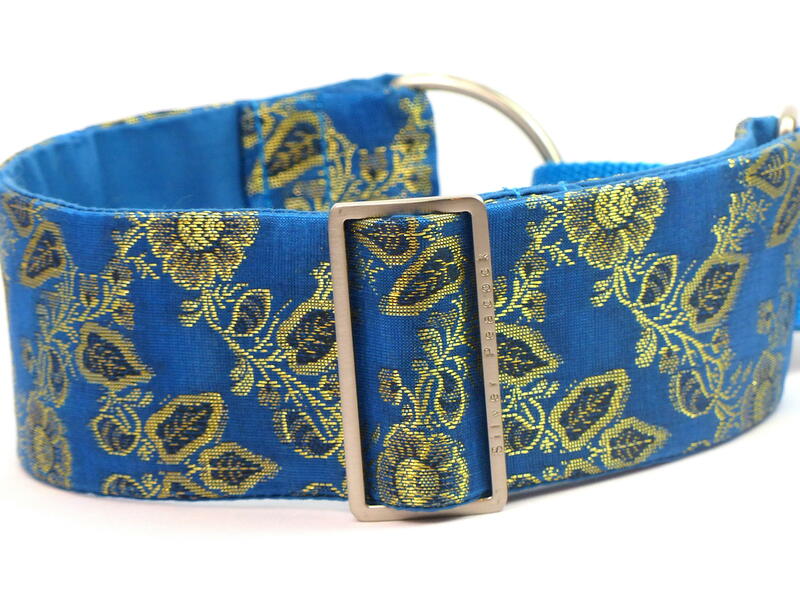 This collar is made from a royal blue fabric with pale metallic gold styalised designs and borders - a classic sari design. 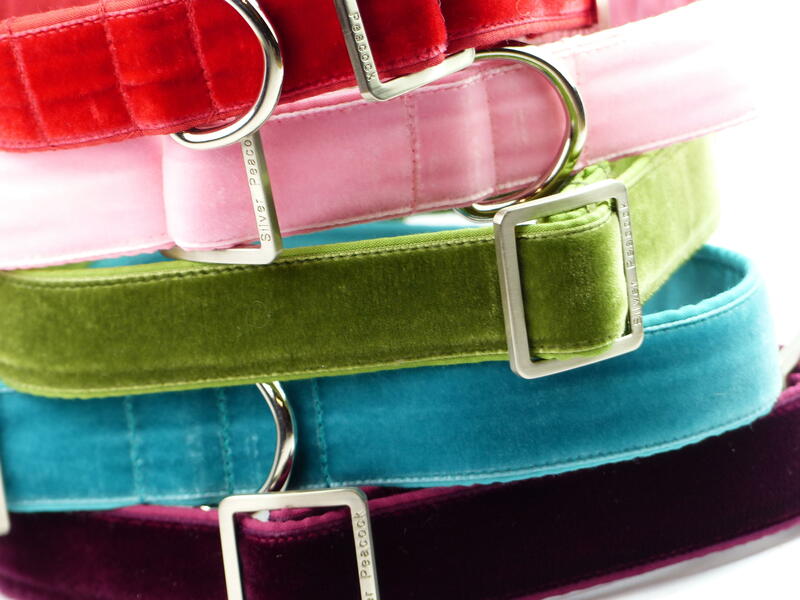 A collar bound to turn heads. 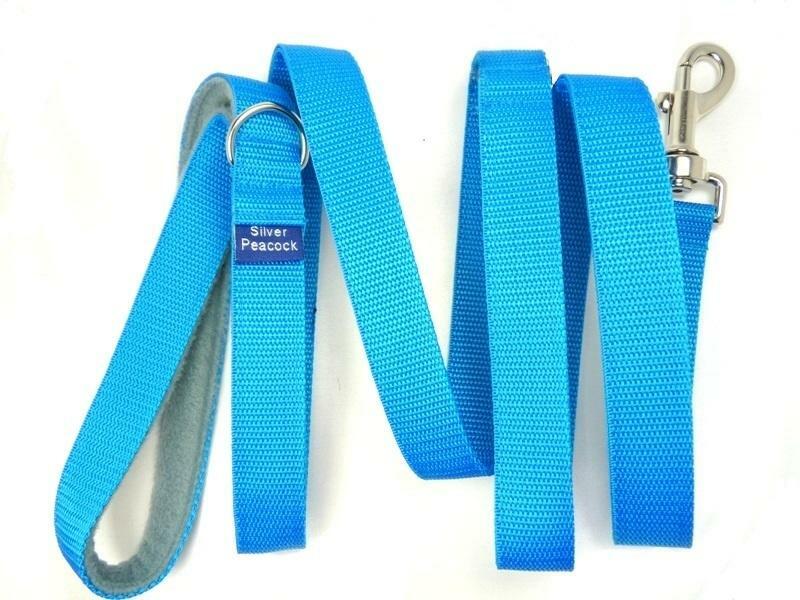 The collar is lined in royal blue fabric and is finished with our signature robust silver coloured hardware and has a royal blue webbing section.